The Rev. Josh Pawelek will officiate at the interment of Carol Shapiro’s ashes on Sunday, October 25th at 1:00 PM in the UUS:E Memorial Garden. All are welcome. Carol was a beloved, long-time member of UUS:E. She is fondly remembered for her tender heart, her poetry, her creativity, her love of cats and her friendship. 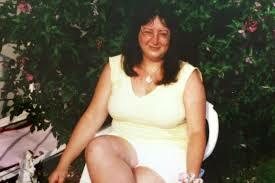 Carol disappeared from her apartment in Manchester on August 31, 2007. In June of this year, police were finally able to confirm by DNA analysis that human remains discovered in Vernon, CT in March of 2013 were Carol’s remains. At the time of her disappearance, police were fairly confident that she had ended her own life. While suicide is still the most widely accepted explanation for Carol’s death, there is not yet conclusive evidence that she took her own life. Even without full confirmation of the cause of death, Carol’s family and the members and friends of UUS:E are greatly relieved that she has finally been found, and that she will finally ‘come home’ to a congregation and to land that was very special to her.